Living in San Francisco is a dream for many Non-Americans and Americans, the beautiful city, accommodating weather, and easy going ways of life has been an attraction for tourism. Statistics have it that approximately one million tourists visited San Francisco in 2017 and this value is expected to increase by 2020. There are many factors to consider when relocating to this beautiful city or switching cities in San Francisco. Let's face it, by the time you find a place of comfort to live, figure out how you will make it happen and bring the rest of your possessions with you, you have used up a lot of energy. This is, however, the energy you could have used dealing with other pressing issues relating to the move such as deciding what schools the kids should go to and whether or not you wish to live far away enough you won't be so accessible all the time. When choosing a San Francisco mover that would move your household, you want to consider several factors. Now, your head is hugely occupied, with so many things running through it. The first of those factors is prestige. A prestigious company is substantial. You want to know the company you choose will take good care of your valuables and that they are also licensed and approved so you will be covered should the unexpected occur. This is the first questions you should ask and if you get NO as an answer, the company is not licensed, hang up and continue the search. If you are a San Francisco resident, in need of packing boxes and packing tools look out for Uboxes, we deliver right here in San Francisco to serve you. We have lots of packing boxes and packing tools in our store that are of true quality. View the moving supplies catalog of our services. Besides, you would want to think about packing. If you have enough time before you will move you may decide to take care of this energy-sapping chore yourself. The advantage to packing on your own is you will be able to arrange everything the way you wish and will know where it all is when it comes time for unloading. But, the disadvantage is more laborious because you will be the one completing this tough task. Moving boxes San Francisco, generally moving laborers charge very little and are willing to carry these burdens for you. They will pack and unpack making your move less stressful while you enjoy your new home in San Francisco. The cost of a professional mover will depend expressly on your needs. There is usually an hourly charge with a minimum carriage requirement of a stipulated number of hours. This could exceed your budget and make you sweat-out serious cash that you might have budgeted for other activities during the move. 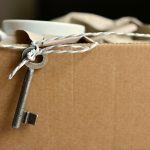 It also allows you to decide whether or not the movers will transport either the large and small items or just the large ones only leaving the smaller ones to you. Yet, the burden is not lifted. This will be completely up to you, but keep in mind transporting some of the smaller ones yourself may, however, present its own difficulty along the process if you have limited time. Moving boxes San Francisco, If you’re residing in San Francisco wishing to swap cities, Uboxes is here at your service.